The earliest evidence of tattooing in Japan is found in the form of clay figurines that have faces painted or engraved to represent tattoo marks. The oldest figures of this kind have been recovered from tombs dated to 5,000 BC or older. The first written record of Japanese tattooing was discovered when a Chinese dynastic history was compiled. According to the text, Japanese "men young and old, all tattoo their faces and decorate their bodies with designs." Japanese tattooing is also mentioned in other Chinese histories, but almost always in a negative context. The Chinese considered tattooing to be a sign of barbarism and used it only as punishment. By the time of early seventh century, the rulers of Japan had adopted much of the same culture, style and attitude of the Chinese, and as a result decorative tattooing fell into official disfavor. The first record of Japanese tattooing as punishment was mentioned in a history. that reads: "The Emperor summoned before him Hamako, Muraji of Azumi and commanded him saying: You have plotted to rebel and overthrow the state. This offence is punishable by death. I shall, however, confer great mercy on you by remitting the death penalty and sentence you to be tattooed." By the early seventeenth century, there was a generally accepted codification of tattoo marks used to identify criminals and outcasts in Japan. Outcasts were tattooed on the arms: a cross might be tattooed on the inner forearm, or a straight line on the outside of the forearm or on the upper arm. Criminals were marked with a variety of symbols that designated the places where the crimes were committed. In one region, the pictograph for "dog" was tattooed on the criminal's forehead. Other marks included patterns which included bars, crosses, double lines, and circles on the face and arms. 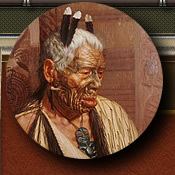 Tattooing was reserved for those who committed serious crimes, and individuals bearing tattoo marks were ostracized by their families and denied all participation in community life. For the Japanese, tattooing was a very severe and terrible form of punishment. By the end of the seventeenth century, penal tattooing had been largely replaced by other forms of punishment. One is reason is that decorative tattooing became popular, and criminals covered their penal tattoos with larger decorative tattoos. This is also thought to be the historical origin of the association of tattooing and organized crime in Japan. The earliest reports of decorative tattooing are found in fiction published toward the end of the seventeenth century. Pictorial tattooing flourished during the eighteenth century in connection with the popular culture of Edo, as Tokyo was then called. Early in the 18th century, publishers needed illustrations for novels, theatres needed advertisements for their plays and the Japanese wood block print was developed to meet these needs. 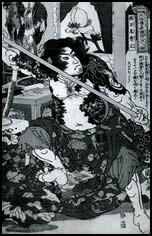 The development of the wood block print parallels, and had great influence on, the development of the art of tattooing. Because of the association between tattooing and criminal activity, tattooing was outlawed on the grounds that it was "deleterious to public morals." Tattooing continued to flourish among firemen, laborers and others considered to be at the lower end of the social scale. Tattoos were favored by gangs called Yakuza, outlaws, penniless peasants, laborers and misfits who migrated to Edo in the hope of improving their lives. The Yakuza felt that because tattooing was painful, it was a proof of courage; because it was permanent, it was evidence of lifelong loyalty to the group; and because it was illegal, it made them outlaws forever. Around the middle of the 18th century, the popularity of tattooing was stimulated by a popular Chinese novel, Suikoden, with many of its novel's heroes extensively tattooed. The Japanese version of Suikoden was illustrated by a variety of artists, each of whom created prints with new interpretations of the tattoos described in the novel. This novel and the new illustrations influenced all Japanese arts and culture. By 1867, the last of the Tokugawa shoguns was deposed and an emperor was restored to power. The laws against tattooing were strictly enforced because the new rulers feared that Japanese customs would seem barbaric and ridiculous to Westerners. Ironically, under the new laws Japanese tattoo artists were allowed to tattoo foreigners but not Japanese. The best tattoo masters established studios in Yokohama and did a lot of business tattooing foreign sailors. Their skills were so great that they attracted a number of very distinguished clients including the Duke of York (Later King George V), the Czarevich of Russia (Later Czar Nicholas II), and other European dignitaries. The Japanese tattoo masters also continued to tattoo Japanese clients illegally, but after the middle of the 19th century, their themes and techniques remained unchanged. Classical Japanese tattooing is limited to specific designs representing legendary heroes and religious motifs which were combined with certain symbolic animals and flowers and set off against a background of waves, clouds and lightning bolts. The original designs used in Japanese tattooing were created by some of the best ukiyoe artists. The tattoo masters adapted and simplified these designs to make them suitable for tattooing, but didn't invent the designs on their own. Traditional Japanese tattoo differs from Western tattoos in that is consists of a single major design that covers the back and extends onto the arms, legs and chest. The design requires a major commitment of time, money and emotional energy. During most of the 19th century, an artist and a tattooist worked together. The artist drew the picture with a brush on the customer's skin, and the tattooist just copied it. In 1936, when fighting broke out in China, almost all the men were drafted into the army. People with tattoos were thought to be discipline problems, so they weren't drafted and the government passed a law against tattooing. After that the tattooists had to work in secret. After WWII, General MacArthur liberalized the Japanese laws, and tattooing became legal again. But the tattoo artists continued to work privately by appointment, and this tradition continues today. Japanese tattoo designs and symbols - what do they mean?